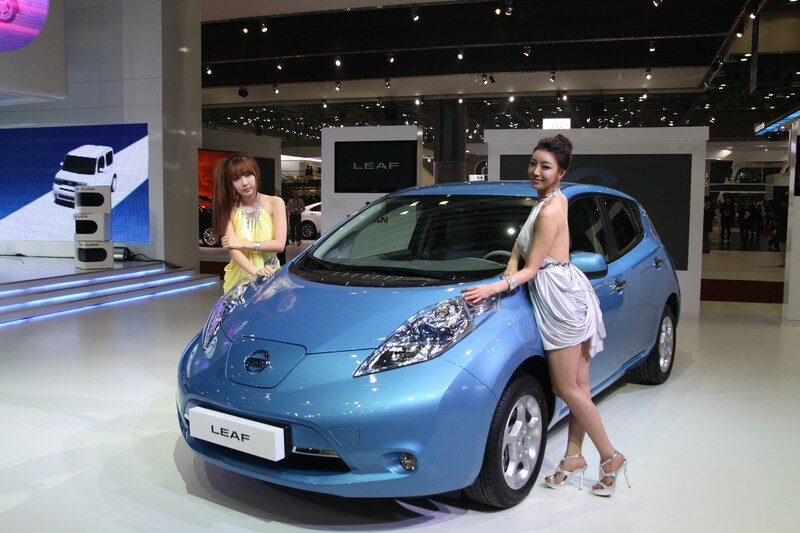 The British Gazette » The Leaf in Winter: Some thoughts on electric cars. Today’s article is and interesting and informative commentary upon the Nissan Leaf (click on image for full size rendition) and electric cars in general by the Reverend Philip Foster MA. 1. The ratio of power to weight for the electric “fuel” compared to petrol is about 1:10. ie; the battery weight and volume is ten times that of a tank of fuel for the same mileage. 2. With a petrol vehicle power does not drop off as fuel is consumed, with an electric vehicle this is invariably the case. 3. With winter rather full on at the moment, consider a scenario of an electric vehicle at night up on the Yorkshire moors in a snow storm. The voltage of the battery will have fallen because of the cold, reducing power available to the engine. No heating of any kind is possible in these circumstances as this would rapidly drain already reduced power in the battery, so inside temperature is dropping rapidly and the windscreen (and windows) frosting up inside and out. Approaching a hill, power availability is becoming critical and will probably fail half way up. The vehicle is now “dead in the water”. Recharging is impossible (nearest house is 20 miles) and even if possible would take some time. So unless the car has a fairly large portable generator (several kw) on board (plus petrol to run it) or a complete fully charged spare battery (costing £10,000) the driver is stranded and possibly unable even to use his mobile phone. Once stranded, the driver is in a very dangerous situation risking hypothermia. His only option is to abandon the vehicle and walk the twenty miles plus to civilization – an equally dangerous option. Compare this with a petrol vehicle. Yes, it might indeed struggle in a snow storm, but power itself will not be reduced (arguably marginally increased due to a lower outside temperature for the exhaust), heat is “freely” available at all times from the waste heat of the engine. (Even if the car is stuck he can keep warm for several hours using the engine on idle). Should he be unfortunate enough to run out of petrol, he will likely have a spare can in the boot and it‘s a matter of minutes to put in the extra gallon which could take him the necessary 30-40 miles to civilization. 4. Electric vehicle batteries, costing, as they do, £10,000 each, are easy targets for thieves. The idea of battery swopping at garages is equally a tempting target for thieves. 5. In an accident, these batteries present a huge hazard of fire and electrocution, water adding to the hazard from the latter. To pay £25,000 for a mini runaround which is only usable around town in clement weather is a ridiculous waste of money. You will need a second vehicle for nearly everything else anyway. The claim that it only costs £2 to go 100 miles is like the claims made for solar and wind power. The cost of back up – in this case a second conventional vehicle far outweighs any supposed advantage of the fuel cost saving. The Yorkshire moors scenario unfortunately can be reproduced even in London in a hard winter. On a crowded road when a Leaf runs out of power it‘s stuck. Traffic will back up behind it… other Leafs will run of of power waiting… there will be grid lock with “fallen‘ Leaves” littering the streets. Dežnitely the wrong kind of Leaves on the road! 6. Hybrid vehicles however, though expensive, do have merits. As with the diesel-electic units used on the railways, they can maximise the efficiency of the petrol/diesel engine used to generate the power for the electric motors. At the moment this has probably not been fully exploited. The Prius is not that fuel efficient suggesting there is some way to go yet with making this technology a serious competitor.